In the municipality of Tires you have the possibility to become familiar with the reign of King Laurin and his fascinating world of mountains. Live webcam Surroundings of Tires. Tires and the Catinaccio, one of the most famous Dolomite mountains. Starting from the village, there are a series of walking routes and Alpine trails, from the easy circular walks up to the routes on the Sciliar and the Catinaccio mountains. The main place is called Tires and is located at 1,000 m a.s.l. The church in the village is dedicated to S. Georg. View of the village of Tires with the Catinaccio. The Valle di Tires joins the Valle Isarco in the north of Bolzano. A little higher, there are the little villages of San Cipriano and Bagni di Lavina Bianca. Scenery in the heart of the Valle di Tires valley, at the foot of the Catinaccio di Antermoia. One of the highest located buildings in the municipal territory is the Rifugio Passo Principe at 2.061 m in the Gruppo del Catinaccio mountain range. On the other side, there is the Val di Fassa valley. Tires in winter - snow-covered meadows and forests with the Catinaccio in the background. A walk in the snow takes us to the San Sebastiano chapel. The frozen Wuhnleger pond - in summer its water surface reflects the Catinaccio and Latemar mountains. The chapel of San Cipriano in the snow-covered landscape. In winter, Tires is a paradise for those who love ski touring and snow-shoeing. Only a few minutes’ drive away, there is the Carezza skiing area, offering slopes for every level. A new day begins, the first sun-rays light up the snow-covered landscape at the foot of the Catinaccio. 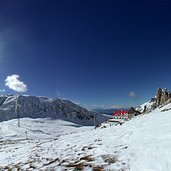 See panorama A wonderful winter paradise with a view on the snow-capped peaks at Passo Alpe di Tires. There is no other place like the Wuhnleger pond for watching the Catinaccio mountain group. It is particularly fascinating in the evening when the sun sets and the mountains reflect in the pond‘s water. 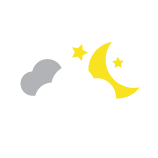 We captured the night there in a time-lapse video. There are six summits in the South Tyrolean Dolomites, also known as climbing mountains: the Vajolet Towers. We captured these famous peaks in a time-lapse video. In the heart of the legendary world of mountains of King Laurin, the area of the Catinaccio - Latemar makes you experience nature at close quarters. Climbing, hiking, mountaineering, mountain biking or simply promenading in the forest, there are many ways to spend one’s leisure time. The calm and tranquility of nature in the area of the imposing mountain peaks of the Latemar and Catinaccio mountain ranges attract visitors both in summer and winter. Experiencing winter sports, soaking up the sun and enjoying the unique mountain scenery. 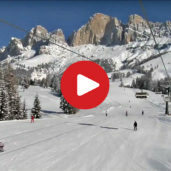 The Carezza skiing area is located at the foot of the Catinaccio, surrounded by the Unesco Natural World Heritage Site of the Dolomites. The family-friendly offer and 8 hours of sun per winter day are only some of the strong points of this fabulous skiing area. Our snowshoe hike begins today in the small village of San Cipriano, situated close to Tires al Catinaccio. The hike is optimal for very fit and technically experienced snowshoe hikers. The trail progresses under the impressive walls of the Catinaccio mountain range before finally ending at the „Haninger Schwaige“ which is found beneath the mighty Vajolet Towers. Join us on this adventurous trail! Tires, located between 700 and 3.002 m asl, is a little village at the foot of the Catinaccio and has got some 900 inhabitants. It comprises the component localities of S. Cipriano, Brié, Bagni di Lavina Bianca and Tires itself. 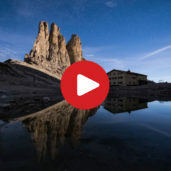 Large parts of Tires are located in the protected area of the Sciliar-Catinaccio nature park, so to speak in the impressive landscape of the Dolomites. On foot, on the horseback, on your mountain bike or hang-gliding, there are numerous way to experience this area. 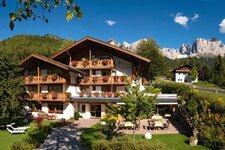 In winter the Skicenter Latemar-Obereggen and also the Alpe di Siusi skiing area are within easy reach. Those who seek alternatives to skiing can try snow-shoeing, winter walking across the snow-covered landscape of Tires, or make a horse-drawn sleigh ride, which is not only popular with kids. Our tip: at the entrance of the Valle di Camin, there is the Catinaccio-Sciliar nature park, located in the so-called “Steger Säge”, which is a rare example of a water-powered Venetian saw. Far away from hustle and bustle, Brié offers tranquillity in nature.